Save 20% off when you purchase the 250 gram size of the Chaga today! 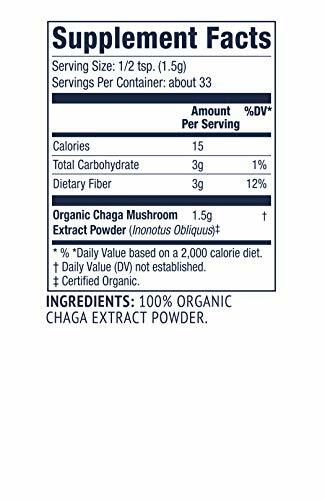 USDA Organic Chaga, Kosher, Gluten-Free. 100% Pure with Zero Fillers. It’s been know to be antimicrobial, anti-bacterial, anti-fungal, anti-viral and anti-candida. The immune modulating properties of chaga have been attributed to the molecules present in chaga known as beta-glucans, a polysaccharide. 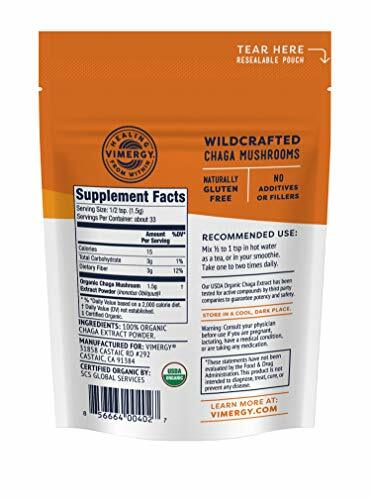 Beta-glucans have strong anti-inflammatory and immune enhancing properties. Chaga Mushroom , also known as ” The King of the Polypores” is a medicinal mushroom that grows in harmony with the birch tree and generally in very cold deciduous forests. It can be found in the temperate forests of Russia, Korea, China, Europe, Canada, northern regions of the United States and in the forests of the Appalachian mountains. This mushroom was basically the life support system of Siberian shamanism. It tonifies the organ systems and helps strengthen the immune system. (BPA). Traditional chaga lore says that people who drink chaga tea live to be over 100, a true longevity superherb. We carefully select only the finest and most potent Chaga, all 100% pure, without any additional fillers. Chinese tonic herbs have been used for more than 2,000 years with powerful results. Tonic herbs help to increase vitality, strengthen the body and mind, restore and nourish organs, treat the spirit and improve longevity. When used regularly, these herbs are a powerful supplement or support to enjoying a very happy and healthy life and will benefit almost anyone. 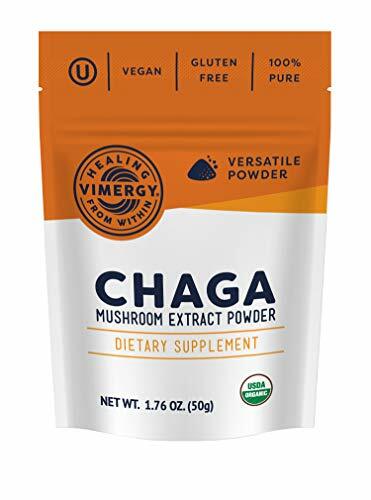 At Vimergy, our Chaga Extract is USDA Organic, Non-GMO, Kosher and Gluten-Free. 100% Pure, without additional fillers or excipients.